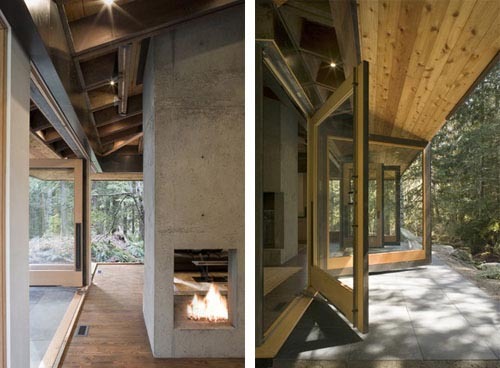 Clients Olson Architects designed the design of private houses with wooden cabin in Skykomish, Washington. 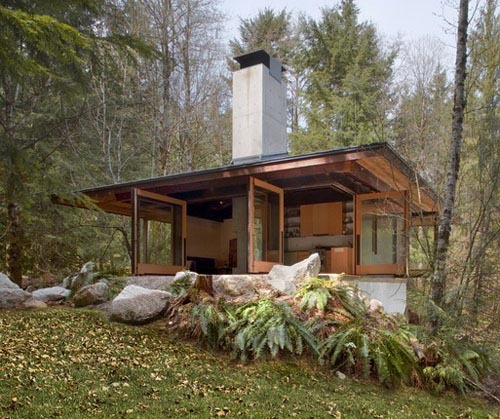 This house is called the Tye River Cabin is designed at 1200 square feet with the natural landscape. 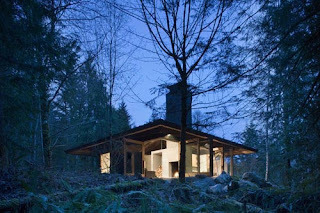 The house has two bedrooms, kitchen, lounge and bathroom, all needs are taken into account. Many large windows and glass doors opening to the outside play area, calling out and add another element of the modern character of the river in front of the house. 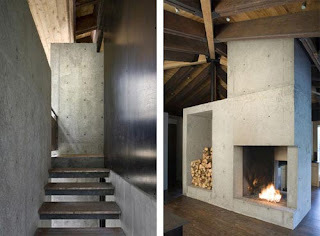 As for style, offers organic range country chic interior with the regeneration of old growth Douglas Fir and the rough cast concrete fireplace heating.